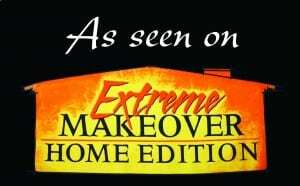 On Sunday, September 28, 2008, the employees, subcontractors, friends and family of Sotheby Floors, Inc. gathered around their television sets watching our greatest accomplishment as a company unfold on ABC’s Extreme Makeover: Home Edition. 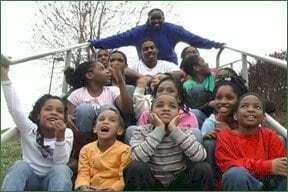 The task was to help ABC’s Extreme Makeover: Home Edition team and Classic Homes of MD build a new home for single mom, Felicia Jackson and her fourteen children. Sotheby Floors was asked to install 4,084 square feet of hardwood and 1,825 square feet of tile in a matter of hours! A job of this magnitude would normally take six hardwood installers three business days and three tile installers four business days. For the tile, Sotheby sent 13 installers and 2 supervisors to the Jackson home. 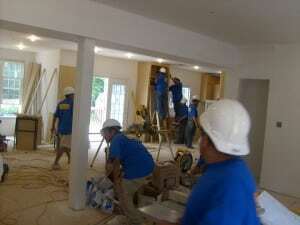 The crews worked 16 hours straight from 11pm (Wednesday, June 25, 2008) until 3pm (Thursday, June 26, 2008) to complete the floor and wall tile in 3 ½ baths, laundry room and the kitchen backsplash. Next was hardwood. Sotheby sent 14 hardwood installers and four employees to the site at 3pm on Friday. Once the house was cleared around 6pm, the hardwood installation began. Eleven hours later, the main level and all 5 bedrooms were installed! In all, Sotheby Floors donated more than 450 man hours and more than $8,000 to this effort. The Jackson family was selected to receive an Extreme Home Makeover out of thousands of applicants due to their amazing story of family, hardships and survival. After growing up as a foster child in the state system, Mrs. Jackson grew up to raise her own family with four children she loved dearly. However, she longed to find the family she never knew. After much searching, Mrs. Jackson was able to locate her birth sister, with whom she had been separated from as children. The two women reconnected, grew close and became a family again. However, tragedy soon struck. Mrs. Jackson’s sister lost her life to cancer. Since both women knew the hardships of growing up as foster children, Mrs. Jackson pledged to her sister that she would not allow her children to become foster children too. She adopted all 10 of her sister’s children, becoming a mother of fourteen. As a single mother, Mrs. Jackson has fought hard to maintain a stable environment for her large family. They now live in a hotel and Mrs. Jackson faces a continual risk of losing everything. With the help of Classic Homes of Maryland, Sotheby Floors, Inc., and many other contractors and volunteers, EMHE built the Jackson family a home they can call their own. In a span of a week, what would normally be a four-month project was complete.